Banana can be use as many form as you wish either as a fruit salad, ice-cream, smoothie & shake or may be as snack time dish. 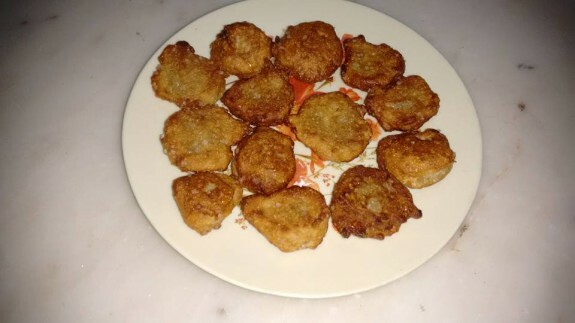 Sweet, crispy as well as stomach filling snack Ethaykka Bonda is a popular food of Kerala. 1. Peel the bananas and mash them well using your hand. 2. Add all purpose flour, sugar and cardamom powder and mix well with your hand. 3. Now, heat coconut oil in a pan. 4. When oil gets heated, take handful of dough and make small balls from it and drop the balls into the oil. 5. While one side turns golden brown, turn the other side and fry well. 6. When both the sides fried well, remove those from the oil and place it on a paper towel to soak the excess oil.